So you're shopping for a truck bed cover / tonneau cover. You've made a good decision. Truck Bed Covers not only improve gas mileage by as much as 10%, they also protect your cargo from water and the elements, as well as add a sense of style to your truck. Here is what you need to know about the TruXedo TruXport Roll-Up Bed Cover / Tonneau Cover: Made in the USA, TruXedo TruXport Roll-Up Bed Cover / Tonneau Covers install in less than 20 minutes with no drilling or automotive knowledge required to install. The included instructions make installation of the TruXedo TruXport Roll-Up Bed Cover / Tonneau Cover simple for even the automotive novice. 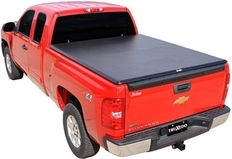 The TruXedo TruXport Roll-Up Bed Cover / Tonneau Cover is a Roll-Up style truck bed cover, meaning that once installed, it simply rolls up in seconds if you need access to some, or all of your truck bed. 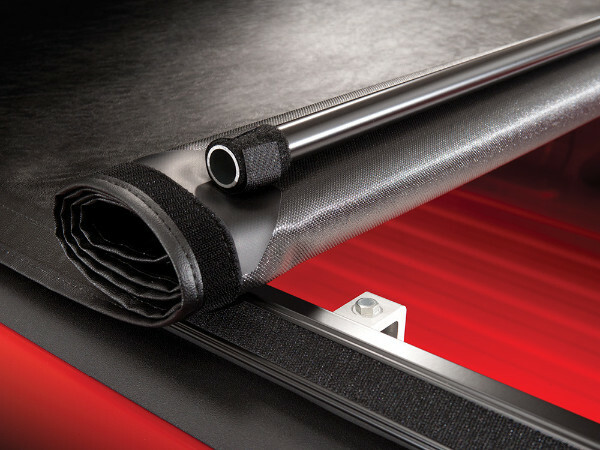 The TruXport Bed Cover features Continuous Velcro contact, meaning No snaps or adhesives to fail. The adjustable tensioner makes it easy to keep your truck bed cover snug. The end result? Your cargo will be safe from the elements, you'll be saving fuel, and you'll look good doing it! 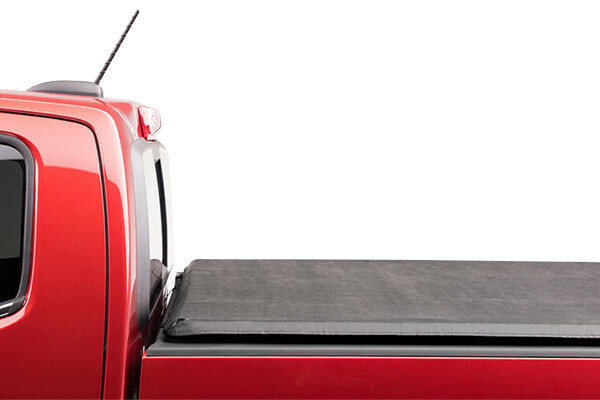 Your Truxedo TruXport Tonneau Cover / Truck Bed Cover will not require any drilling or automotive knowledge to install. Your Truxedo TruXport Bed Cover Instruction Manual will also include photos to make installation extremely simple. Expect your installation to take 20 minutes. Step 1. 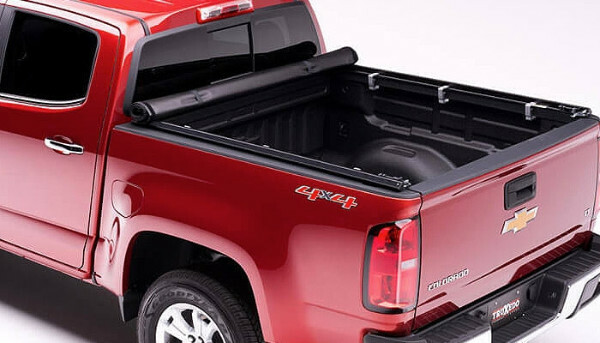 Verify the part number of your Truxedo TruXport Tonneau Cover / Truck Bed Cover and make sure you have received the correct Truxedo TruXport Tonneau Cover / Truck Bed Cover. Step 2. Inspect your Truxedo TruXport Tonneau Cover / Truck Bed Cover carefully for any damage that may have occurred during shipping. Step 3: Install TruXedo TruXport weather seal on cab end corner plugs. Step 4: Locate and place side rails on pickup bed rails. Assemble clamps. Place rear clamps loosely over side rails & pickup bed rails. Insert side rail corner plugs into header. Step 5: Place cover onto bed of truck at cab side of truck and unroll Truxedo TruXport Tonneau Cover / Truck Bed Cover toward tailgate. Installation of your Truxedo TruXport Tonneau Cover / Truck Bed Cover is now complete! Enjoy your improved fuel economy and stylish new look! To release cover, With tailgate open, press downward on extreme corner of cover while pushing latch forward. We Guarantee the lowest out the door price on TruXedo TruXport Truck Bed Covers. If you find the same TruXedo TruXport part number for sale somewhere else for a lower out the door price, we will match or beat the price. Keep in mind that our shipping is free when comparing prices (TruXedo TruXport covers come in a very large box that is expensive to ship!). Simply give us a call at 866-639-5385 during regular business hours and direct us to where we can see the better price. We think our prices on Our TruXedo TruXport Truck Bed Covers are very competitive, but if you think you've found a better deal, we want to know!